The Medison Voluson 530 DMT ultrasound system features 2D and 3D imaging that works in conjunction with one another to provide high-quality images. 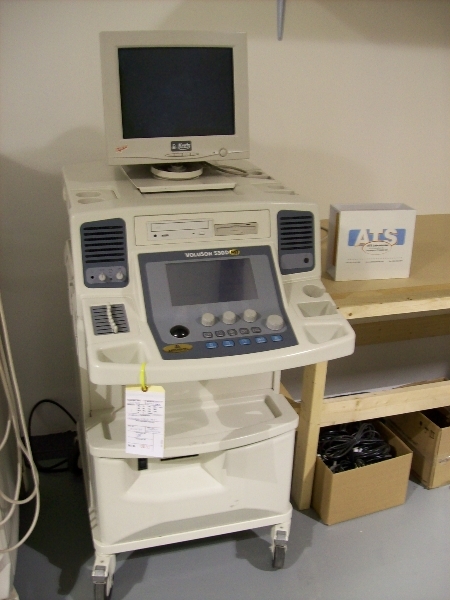 Additionally, the 530 DMT ultrasound highly regarded as being a system of choice for obstetric and gynecologic applications. With its 3D imaging, PW Doppler and a full-color monitor, the Voluson 530 DMT ultrasound is fully featured for OB/GYN applications.